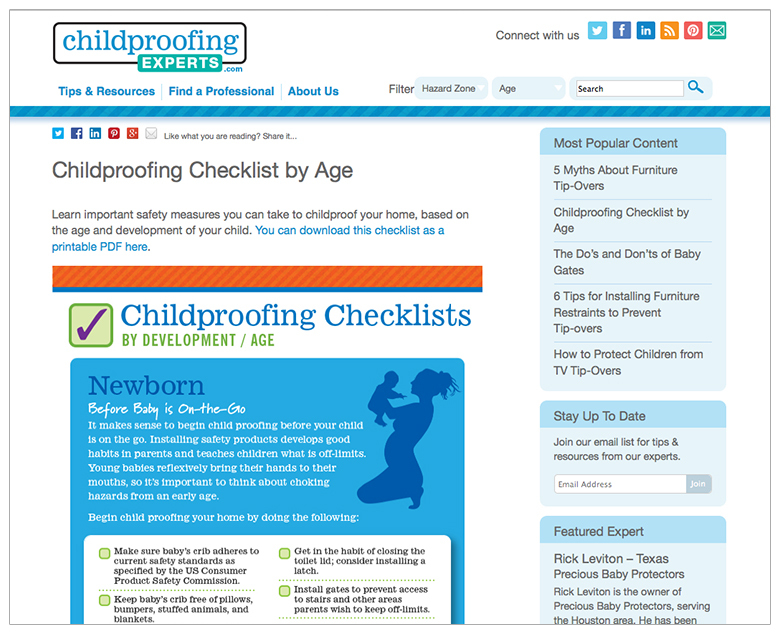 ChildproofingExperts.com was created by the International Association for Child Safety (IAFCS) as a resource for providing information on babyproofing to individuals as well as helping connect people with professional childproofers. 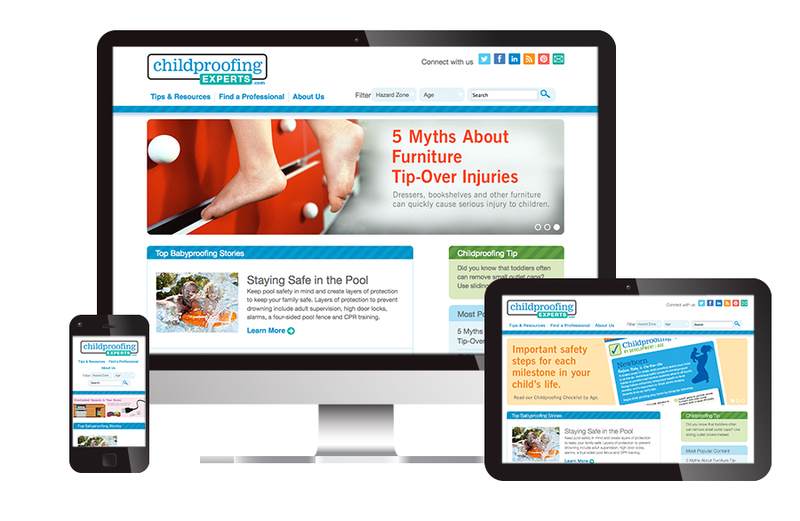 Rather than adding onto the IAFCS corporate site, this new e-zine style site was designed and developed as the centerpiece of a content-based marketing strategy. 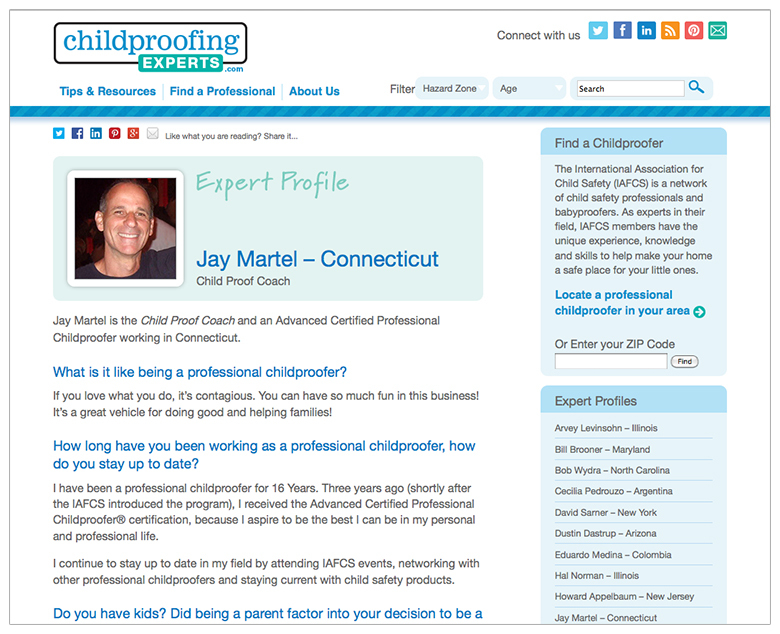 Visible Logic worked closely with the Executive Director of the IAFCS to to develop articles, infographics, tips and profiles of professional child proofers. 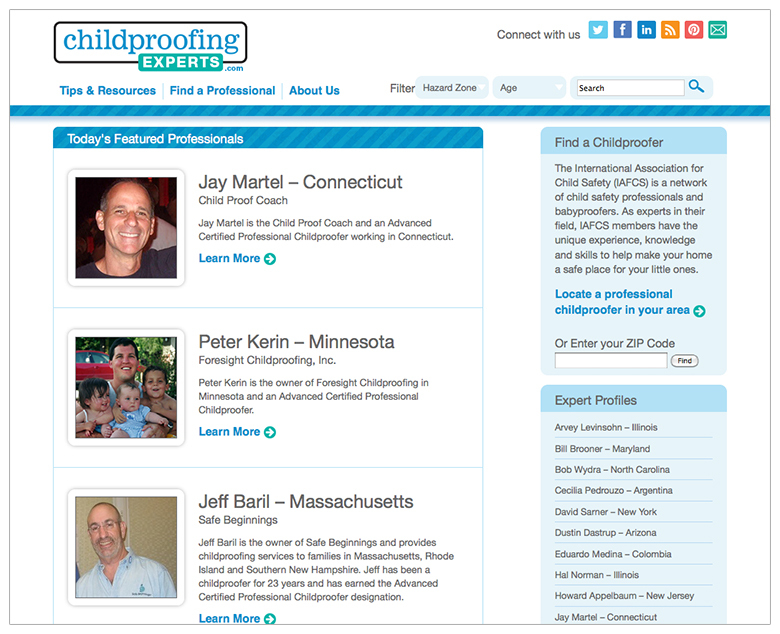 The result is a content-drive site filled with highly-shareable information.